JPMorgan could be on the hook for $6 billion in connection with the FHFA suit, according to recent reports. Regulators at the Federal Housing Finance Agency are on the verge of scoring some of the government's biggest victories against Wall Street banks since the financial crisis. The agency is poised to recover billions of dollars from banks accused of misrepresenting risky mortgage securities sold to Fannie Mae and Freddie Mac. 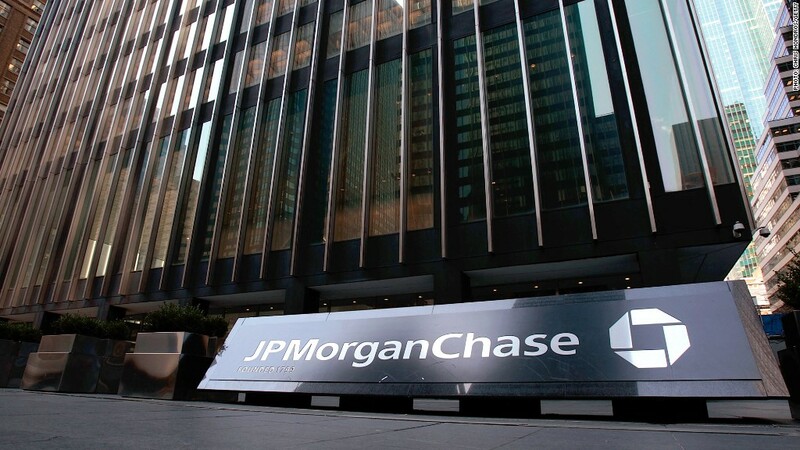 Among those in the crosshairs is JPMorgan Chase (JPM), from which the FHFA is seeking at least $6 billion, according to several reports this week. A settlement of that size would dwarf any payout the government has extracted from the bank so far in connection with the financial crisis. "To date, nobody has done as well as the FHFA in going after underwriters," said Guy Cecala, publisher and CEO of Inside Mortgage Finance. "This little agency is making the most noise and perhaps getting the most money." The FHFA declined to comment on the JPMorgan talks. JPMorgan is just one among a number of firms that could soon be on the hook for substantial settlements. The FHFA sued 18 banks and financial institutions in 2011, accusing them of selling Fannie and Freddie bonds that "had different and more risky characteristics than the descriptions contained in the marketing and sales materials." Fannie and Freddie, the government-backed housing finance firms, sustained massive losses on mortgage-backed securities as the housing market imploded, requiring a bailout of over $187 billion. The firms, which have been controlled by the FHFA since their 2008 bailout, have since returned to profitability, paying $136 billion in dividends to the Treasury Department since their rescue. The government stands to reap further gains with the lawsuits now pending against the banks. UBS (UBS) has already reached an $885 million settlement with the FHFA in connection with losses Fannie and Freddie sustained on over $6.4 billion worth of mortgage securities. The FHFA alleged that Fannie and Freddie had lost roughly $1.15 billion on these securities as of December 2011. The FHFA also settled for undisclosed sums earlier this year with Citigroup (C) and General Electric (GE). The other 15 firms sued back in 2011 have yet to settle, though that could soon change. British lender HSBC (HBC) revealed in its interim report earlier this month that it could pay as much as $1.6 billion in damages to the FHFA. The agency has accused HSBC of misrepresenting roughly $6.2 billion worth of mortgage-backed securities sold to Fannie and Freddie. For JPMorgan, the total is over $33 billion, including securities from Washington Mutual and Bear Stearns. JPMorgan acquired WaMu and Bear during the market turmoil of 2008 with support from the government, and is now responsible for their liabilities. JPMorgan CEO Jamie Dimon has previously complained about government lawsuits over Bear Stearns, saying the acquisition was a "favor" to the Federal Reserve. Bank of America (BAC), which scooped up struggling Countrywide and Merrill Lynch, is facing FHFA complaints over $57 billion worth of mortgage bonds. In all, the 18 FHFA lawsuits cover more than $200 billion in allegedly misrepresented securities. The FHFA declined to comment on how much Fannie and Freddie have lost on those securities or the total being sought in damages. Spokespeople for JPMorgan, Bank of America and HSBC declined to comment. "It's going to be a big number for Bank of America and a big number for JPMorgan Chase," Cecala said. "We're clearly seeing the momentum go in favor of the FHFA."